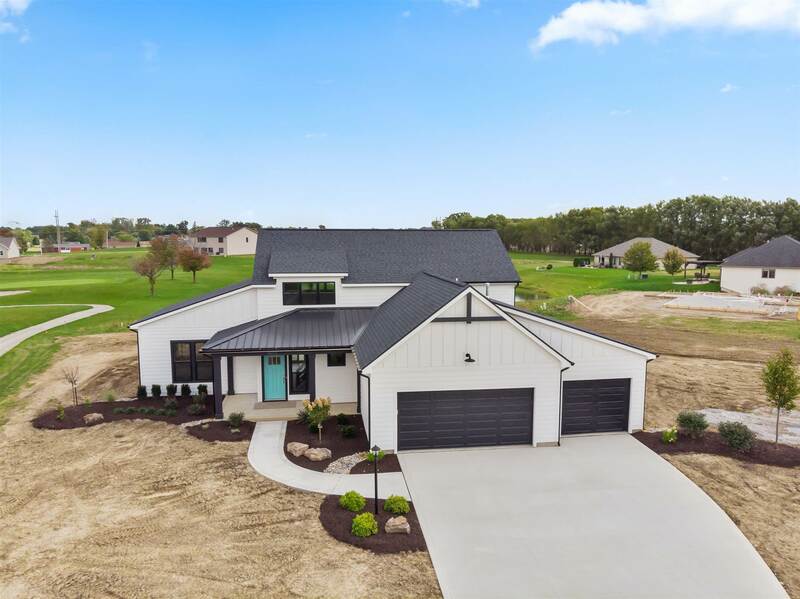 BRAND NEW MODERN FARMHOUSE by WINDSOR HOMES! Overlooking the golf course and water from a COVERED PORCH and an Open Island Kitchen with Quartz tops, Painted Cabinetry, and SS appliances! Fantastic Owner&apos;s bath with Vessel style tub and custom TILED SHOWER, Extra gathering SPACE on the second floor, 10&apos; PATIO DOOR to expand views, 2-sided FIREPLACE is a focal point of the beamed ceiling great room, 5-STAR ENERGY rated, 10 YR limited builder WARRANTY, LOW association dues that included a neighborhood POOL, TENNIS AND PICKLEBALL courts. Public restaurant/bar at the GOLF club. WASHER/DRYER and REFRIGERATOR INCLUDED!